Are you looking to discover the professional world straight out of school? Are you curious and want to know what the future holds? 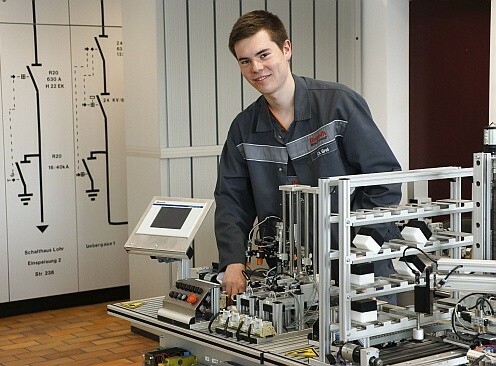 Then join our team at Bosch Rexroth. We can offer you a professional home that promises many diverse opportunities and that always invites you to take on new challenges. Are you interested in becoming part of a market leading company already during your studies? Are you ready to get involved, take on more responsibility and strengthen one of our teams? Join us and learn about our innovative technologies: We look forward to welcoming you and providing you with the opportunity to gain valuable experience. You have recently finished your studies and are looking for an individually tailored graduate program? Or would you like to put your skills to the test from day one in a direct entry position? In both cases we can offer you a customized start to your career! Wherever your strengths and interests lie: we want to give you the chance to develop your potential – right from the start. Are you looking for a new challenge? With us, you can take your career to the next level. We look forward to having you on board, whether it is as an experienced specialist or as a manager. This can be in your field of expertise but also beyond - we welcome interdisciplinary competencies. Join us and help set the world in motion. Whether as a school student, during or after your university studies, or as an experienced specialist or manager - Join us now and help set the world in motion. Discover an employer that you can rely on - and a work environment with unlimited possibilities.